This month we have two new offers available through our Big Cartel page. First up is our Bitching Cassettes offer. 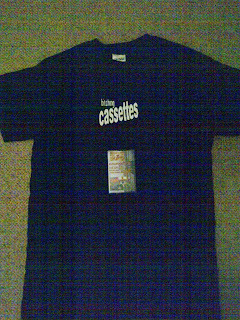 Get a Bitching Cassettes logo t-shirt (left). T-shirts are available in small, medium and large. 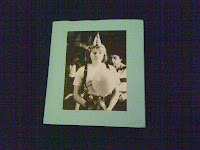 They are also black in colour (ignore the 'tartan' effect that's due to my rubbish camera phone). Along with the t-shirt receive a copy of Runaround Kids and The Spills split cassingle from 2012. The cassette single (cassingle) features Runaround Kids' Into The Light and The Spills' Atomic Arabian Facebuster and comes with a download code as well the cassette. Only 100 of these were made and only a small handful remain. Get both t-shirt & cassette for only £5 while stocks last here. Our second offer is our Philophobia Music compilation offer. Our '1st 5 Years' t-shirt which features the front covers of every release during our first five years from Lapels' Painted Skeletons to We PHOPPED Something In The Water, all in a Philophobia heart shape (pictured right). It's available in small, medium and large. 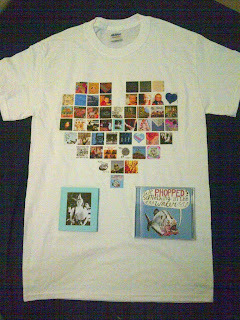 Included is the aforementioned mentioned We PHOPPED Something In The Water compilation. 20 new tracks from bands on our roster. Find the full tracklisting on our bandcamp page. In addition to these, also included is the To Dare Is To Do EP. The 6 track EP featuring 2 tracks by 3 different artists. Each artist features on a 3" CD of their own. Disc A is Above Us The Waves. Disc B is Gary Gore & E.E. Viles (an at present one off collaboration between Tim from St Gregory Orange / JJ Swimsuit and Riggs from imp / SWORDS). Finally Disc C is filled by two Daniel Lancaster tracks. Danny of course is now imp's bassist. 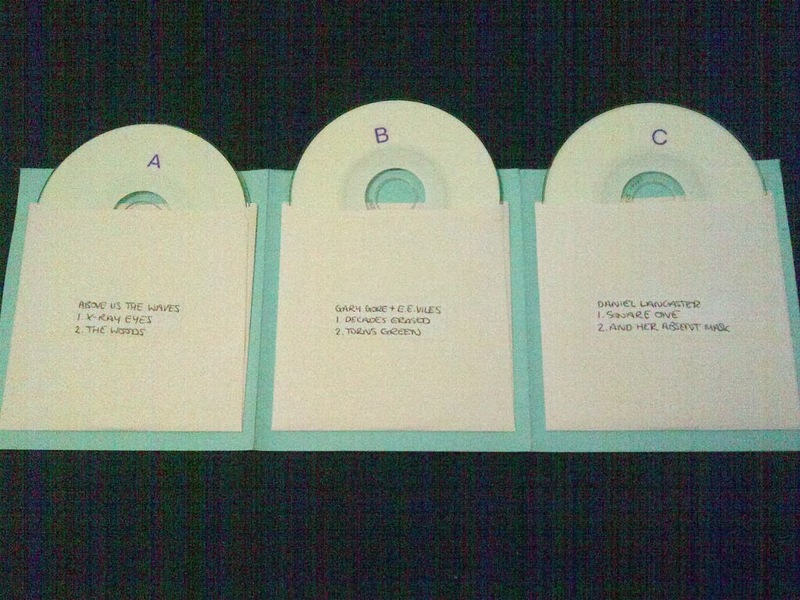 There were only 100 copies of this EP in handmade sleeves (see below) and only a few remain. The EPs also come with a download code. Get all this while stocks last for only £14 here.